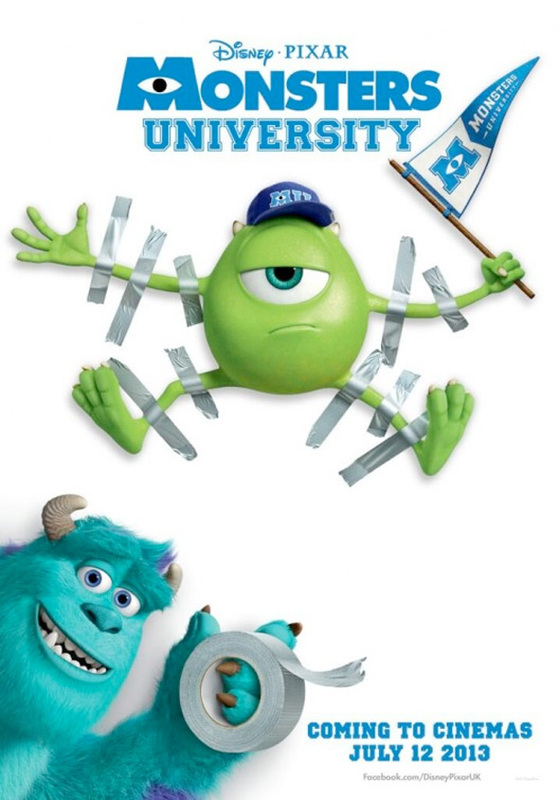 When the first teaser trailers for Monsters University were released, they featured Sulley (John Goodman) pranking his new college roommate Mike Wazowski (Billy Crystal). Now Sulley is back at giving Mike a hard time on a new poster for the Pixar summer release. Duct tape makes for some of the best pranks, and this one puts Mike up on the wall for all the kids to laugh at. It's good to know that these two become such friends after initially being enemies in college. Our own Alex Billington just saw the entire film at CinemaCon, and had nothing but nice things to say. Sounds like this Pixar sequel will be a delight. Look! I wish Monsters University will also in IMAX 3D. Remember!